Want it by Wednesday 24th April? Order within 3 days, 13 hours, 13 minutes and choose Royal Mail Tracked 24 Hour at checkout. 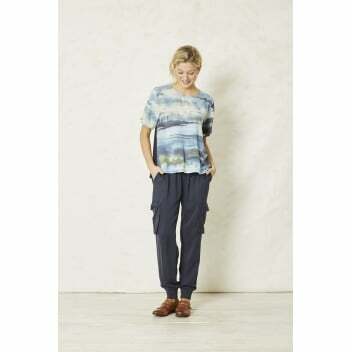 This gorgeous top features an exclusively Braintree print that has been inspired by Norwegian river banks. The loose fit is super flattering and relaxed, but the print makes the top feel smarter. We love the high low hem, which swirls and creates modern silhouette. Pair with jeans or tailored trousers for a clean, contemporary look.